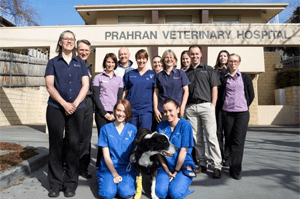 Welcome to Prahran Toorak Veterinary Hospital Happy Vet Nurse Day! I’m usually up at 6am each day because I live on the north (cool) side of town, I throw down a coffee and feed Billy my giant house rabbit. The drive in isn’t too bad once you get to know the shortcuts! At PVH my first role is to ready the practice for a busy day. First job on the list is making sure our boarding cats are comfortable, there are nine today (at busy times there can be up to thirty! 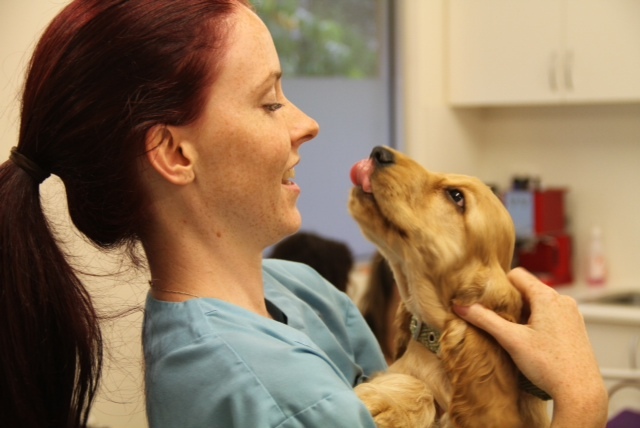 ), four of today’s boarders are elderly and require extra special attention and medications to be administered. Once everyone is miaowing happily I head downstairs to prepare the hospital. First and most importantly I check the progress of our inpatients, often these are pets who are feeling unwell and I need to perform a physical examination and assess them for pain or other problems, I find if I talk to them in a happy voice and explain everything I’m doing they’re happy to let me help them and I like to think it lifts their spirits. Today I have to replace one dog’s intravenous catheter and administer medications, then we go for a short walk. The patients are happy so it’s time to put my technician’s hat on. I have to prepare our sterile surgical theatre, our dental operating room and set-up the central treatment area to receive and handle the twelve patients coming in for procedures, plus the ones we don’t know about yet! 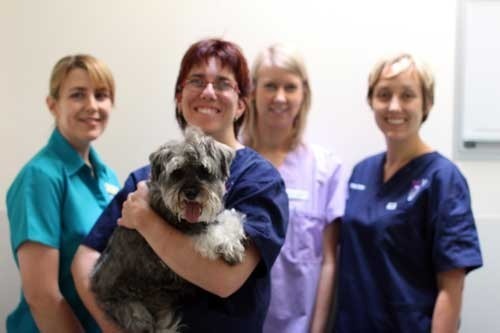 Anaesthetic machines, X-ray unit, ultrasonic dental and surgical equipment, plus the myriad of other things the vets and nurses will need have to be checked, organised and laid out ready. It’s already 8am, and guess what? 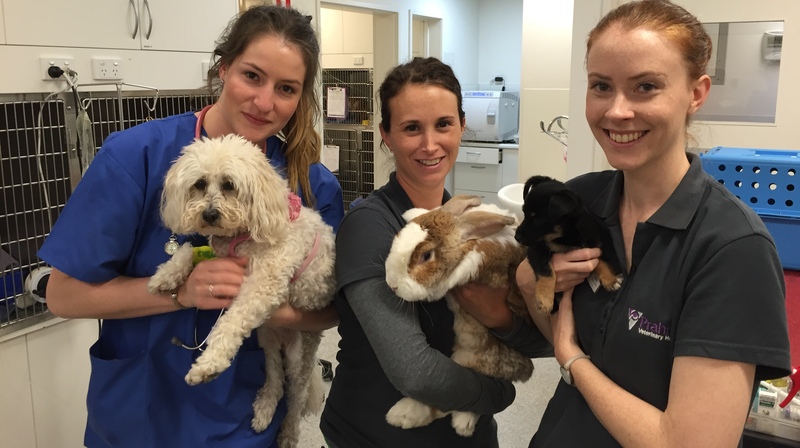 The vets are only just turning up to work! We all gather in the treatment room to discuss and plan the surgical list for the day. Everyone’s input is important to make sure things run smoothly. From there the pace really picks up. I have to meet with several of our clients to admit their pet’s for planned surgical procedures. Once in hospital I examine each pet, collect blood samples and run laboratory tests where necessary, so I’m a part-time pathologist too! Ironically the hour or so that I’m assisting in surgery is the quietest part of my day because I’m standing still! The procedure goes well and it’s time for me to meet with one of my regular patients who comes to see me for rehabilitation therapy (I am currently studying towards becoming a certified rehab practitioner through the Uni of Tennessee), we work on strengthening her hindleg after a recent surgical procedure, her owner has been really committed with the exercises I’ve planned and the progress is really encouraging. Back to surgery to help the other nurses shut down the operating rooms for the day, half a dozen phonecalls to clients to manage their cattery bookings – cat boarding manager is another of the many hats I wear. And that’s my day, it’s after five and I’m exhausted. 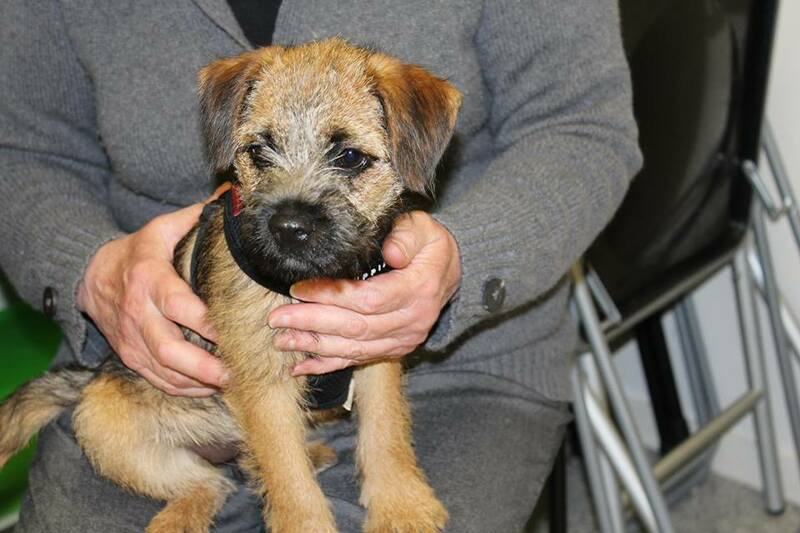 I squeeze in a cuddle with Maxine’s new puppy as I head to the staff room. He licks my nose and I realise that no matter what challenges the day has thrown at me, there’s nothing quite like that simple reward. Thanks Bernadette! Give Roy a big cuddle for me. I love seeing how well he is doing and of course, his awesome jumpsuit collection!